Dhaka, 19 August, Abnews: Premier League champions Manchester City are a “rich club” but “cannot buy class”, says Manchester United manager Jose Mourinho. Mourinho was responding to a question about City’s £10m Amazon Prime documentary All Or Nothing, which was released earlier this week. Pep Guardiola’s side won last season’s title with a record haul of 100 points. A film crew was given behind-the-scenes access – including to the dressing room – for an eight-part documentary about City. Mourinho said: “I haven’t seen it but I know a few things about the movie. My reaction is if you are a rich club you can buy top players, you cannot buy class. That is my first reaction. City could have won the title by beating rivals United at Etihad Stadium on 7 April and were 2-0 ahead at half-time, but their opponents turned the game around to win 3-2. The hosts had printed souvenir T-shirts in the hope they would clinch the title that day, but the celebrations were delayed by two weeks. 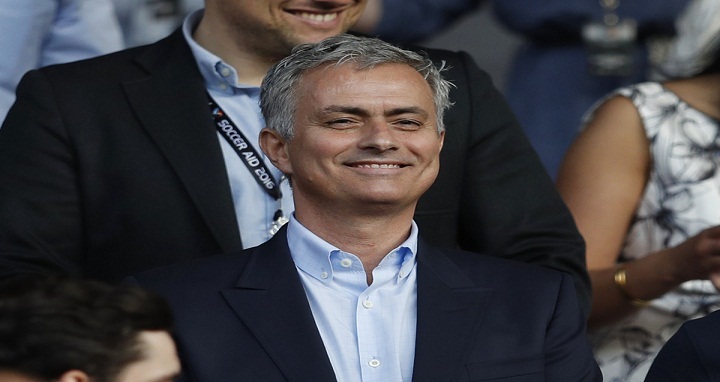 Mourinho added: “You know, a movie without me doesn’t sell much. I needed to be there.